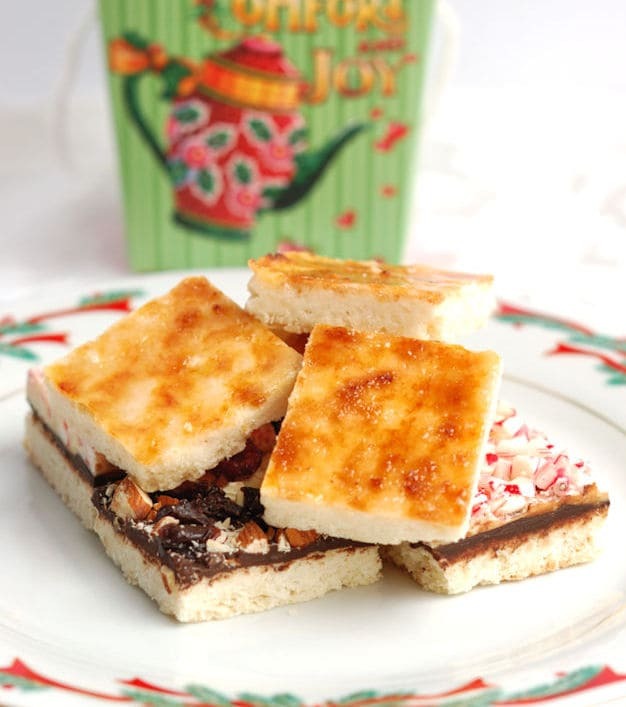 Creme Brulee Shortbread – Buttery Shortbread topped with a crispy, crackly caramelized topping. I love to bake because I love to share goodies from my kitchen. 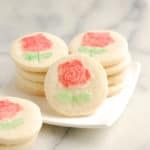 It would be no fun to bake a big batch of cookies and eat them all by myself (hmmm, or maybe it would be). 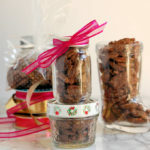 For the holidays I like to create gift boxes filled with little homemade treats. I make different things each year, but some of my favorites are truffles, petite fours, shortbread cookies and bon bons. 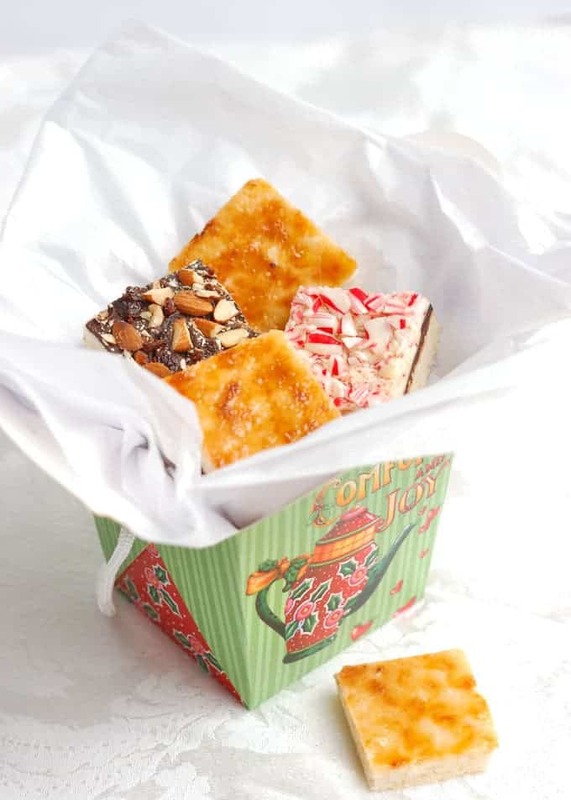 Inspired by my Peppermint Bark Shortbread, this year’s gift boxes are filled with an assortment of shortbread. Although I didn’t plan to do another shortbread post, I loved this Creme Brulee version so much I wanted to share it on the blog. To tell you the truth, I was surprised and delighted that it came out exactly as I had imagined. When I get a recipe idea in my head it often takes a bit trial and error to come up with something that vaguely resembles my original idea. Sometimes I never get exactly what I’ve got in my head to work. But this time, the Creme Brulee Shortbread turned out exactly as I’d imagined–on the very first try. If you’ve ever made Creme Brulee you know that it’s all about the crispy crackly caramel topping. I used exactly the same technique for this shortbread as I do for the custard; sprinkle a thin and even layer of sugar onto the surface, then use a propane torch to caramelize the sugar until it’s golden brown and delicious. The only tricky bit is cutting the cookies without cracking the caramel. A serrated knife wiped clean with a damp kitchen towel and a gentle sawing motion will do the trick. It’s very important to patiently saw back and forth across the caramel until you’ve cut through the sugar. Then you can cut straight down to the bottom of the cookie without shattering the caramel glaze. 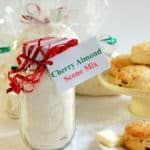 I also made a chocolate/almond/cherry shortbread to round out the assortment. 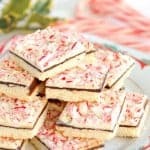 The recipe is the same as the peppermint bark shortbread with a few minor changes. Add 1 teaspoon of real almond extract to the cookie dough. 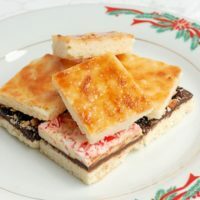 Bake the shortbread and sprinkle with the chocolate as you do for the peppermint bark shortbread then sprinkle with 8 oz of toasted chopped almonds and 8 oz of chopped dried cherries. As you can imagine, the versions of this recipe are endless. 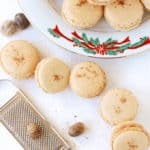 How about shortbread topped with white chocolate, pistachios and dried apricots, or milk chocolate and candied orange peel, or…. Buttery Shortbread topped with crackly, crunch caramelized sugar. Preheat the oven to 325°F. Line a 1/2 sheet pan with parchment paper or a silicone baking mat. Cream the butter and sugar until light and fluffy. Add flour and salt all at once and mix just until combined. Form the dough into rectangle shape and place onto the prepared sheet pan. Gently work the dough to the edges of the pan. Lay another sheet of parchment over the dough and gently rub over the surface to even out the thickness. Remove the parchment and use a fork to prick the top of the dough all over. Bake until just beginning to brown and the center of the dough is set, about 20 minutes. Cool in the pan for 5 minutes. 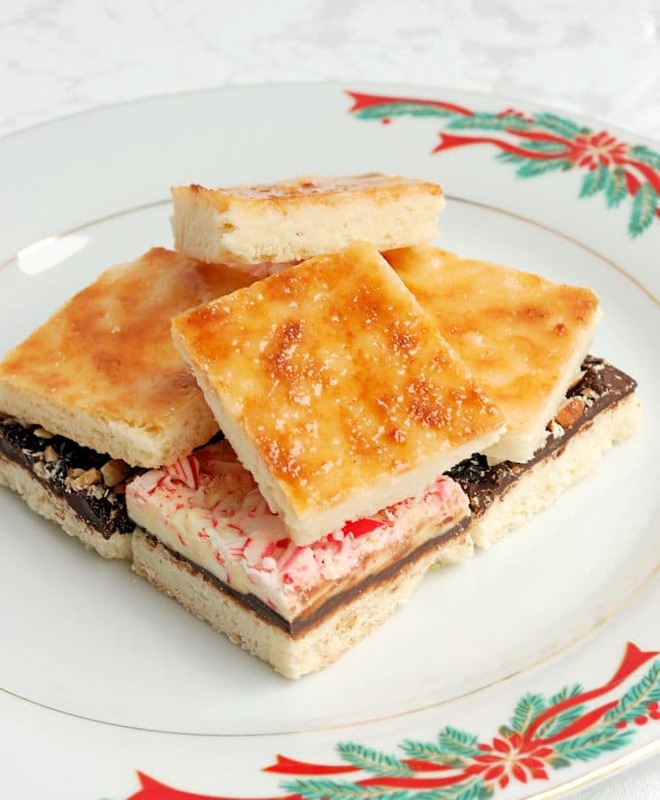 Sprinkle the remaining 1/2 cup sugar in an even layer over the warm shortbread. You can shake the pan gently to even out the sugar if you have some thick spots. Use the parchment paper to slide the shortbread out of the pan. To cut, use a long serrated knife. Run the knife under hot water (or dip in a pitcher of hot water), wipe the blade clean. Use a gentle sawing motion to cut through the caramel without cracking then cut through the cookie base. Repeat warming and wiping the knife between each cut. The shortbread keeps well at room temperature for up to a week. 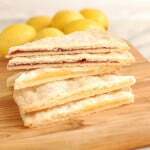 If you stack the shortbread in a storage container place sheets of parchment between the layers so they don't stick.